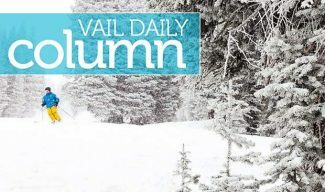 VAIL — Town of Vail buses will transition to the full winter schedule beginning Monday, Dec. 10. The new schedule, which will run through Sunday, April 21, will provide 15- to 30-minute service on most outlying routes during peak times and 30-minute to one-hour service on most outlying routes during non-peak times. The in-town shuttle, which services Golden Peak, Vail Village and Lionshead Village, will run every 5 to 10 minutes. 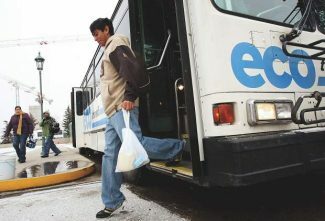 A complete bus schedule is available online at vailgov.com or by calling 970-477-3456. • West Vail Green loop will depart from the Transportation Center every 30 minutes from 5:45 a.m. to 8:15 p.m. and every 40 minutes from 8:50 p.m. to 2:10 a.m.
• The West Vail Red loop will depart from the Transportation Center every 30 minutes from 6 a.m. to 8:30 p.m. and every 40 minutes from 9:10 p.m. to 1:50 a.m.
• The West Vail Express with the West Vail Green line will provide 10-minute service between the Chamonix bus stop into Lionshead via South Frontage Road from 6:10 to 10:20 a.m. Afternoon westbound service will run every 10 minutes between the Vail Transit Center, Lionshead Transit Center and the Chamonix stop to West Vail from 2:10 to 5:30 p.m.
• An East Vail bus will depart from the Transportation Center every 20 minutes from 5:50 to 7:10 a.m., every 15 minutes from 7:30 a.m. to 8:15 p.m. and every 30 minutes from 8:30 p.m. to 2 a.m. The Golf Course bus will depart from the Transportation Center at 6:45 a.m. and then every 30 minutes from 7:45 to 10:15 a.m. During non-peak, the bus will depart from the Transportation Center every hour from 10:45 a.m. to 2:45 p.m., every 30 minutes from 2:45 to 5:15 p.m. and every hour from 5:45 to 11:50 p.m. An additional Golf Course bus will run at 2 a.m., if requested. • The Ford Park route will depart from the Transportation Center at 6:20 a.m. with 15- or 30-minute frequency through 8:35 p.m.
• The Sandstone loop will depart from the Transportation Center every 30 minutes from 6 to 8 a.m., 10 a.m. to 3 p.m., 5 to 8:30 p.m. and 9:10 p.m. to 2:10 a.m., with an additional run at 8:50 p.m. The Sandstone loop will run every 20 minutes from 8 to 10 a.m. and 3 to 5 p.m.
• The Lionsridge loop route runs every hour from 6:15 a.m. to 8:15 p.m.
For more information, call the town’s transit office at 970-479-2178 or visit vailgov.com/bus-schedules.